I'm not confidence with this one, but.. I've work hard. not really satisfied with the result.. but my brother said that I shouldn't be too perfectionist. 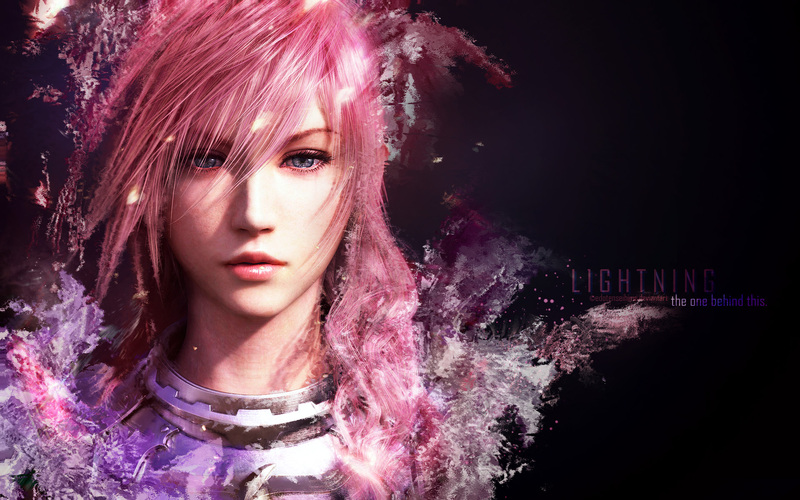 lightning close-up scans from =here= ???????HeavenlyJeanne??? one with reddish blending, and lighter. awesomeness! thank ou very much. Now this is cool. Nice job! Great work with the softwares. Thanx a lot for sharing. I also prefer the darker one^^ I love how Lightning's eyes look and the background colors used around the title of the wall on the right. Really nice job. Amazing ! Awesome! Good work! of all the female FF wallpapers I have, I liked this one best! Thanks for uploading this gorgeous image! BEAUTIFUL COLOR NICE WALLPAPER~THX FOR SHARE! This is very beautiful! awesome work, the colors are wonderful. Great work :) I like the way the color looks.